Is a graduate of Hamilton College and Syracuse University College of Law. Joe Jr. has a wide variety of legal and practical experience having worked for the New York State Assembly, the New York State Senate, and the City of Utica and as an attorney for the County of Oneida. Joe Jr. spent a number of years representing the Oneida County Department of Public Health as Special Assistant County Attorney and was chief attorney for the county of Oneida on the multi-million dollar Mass Gathering Woodstock '99. 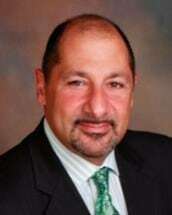 Joe Jr. has been the City of Utica's Empire Zone Coordinator, Brownfield Coordinator, Executive Director and General Counsel to the Utica Industrial Development Agency and Executive Director of the Utica Brownfield Revitalization Corporation. In addition, Joe Jr. has been involved in well over 3000 residential and commercial real estate closings representing Lenders, Purchasers, Sellers, and Public Agencies such as the Utica Urban Renewal Agency and the Utica Municipal Housing Authority. In addition, Joe Jr. has counseled numerous client's, including Government Agencies, not-for-profit and small businesses on various legal matters including but not limited to board activities, employee matters, litigation, governance, contract negotiation and real estate and business acquisition. Additionally, Joe Jr. has had extensive litigation experience having litigated matters in Supreme Court on behalf of Niagara Mohawk Power Corporation, Prudential Insurance Company and numerous individual plaintiffs and defendants. Joe Jr. also frequently represents clients in Family Court. Finally, Joe Jr. has had extensive experience in litigating hundreds of matters before numerous administrative tribunals such as the Worker's Compensation Board, the Department of Motor Vehicles, Social Security Administration, the Equal Employment Opportunity Commission and the Department of Labor.